Is it wrong to get emotional about a pot? ‘Cause if it’s wrong, I don’t want to be right. But this? This thing will make you understand why people used to eat pot roast every Sunday. It’s just that good. 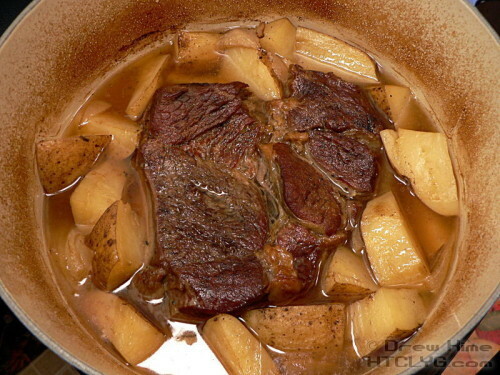 I’ve done pot roast plenty of times. 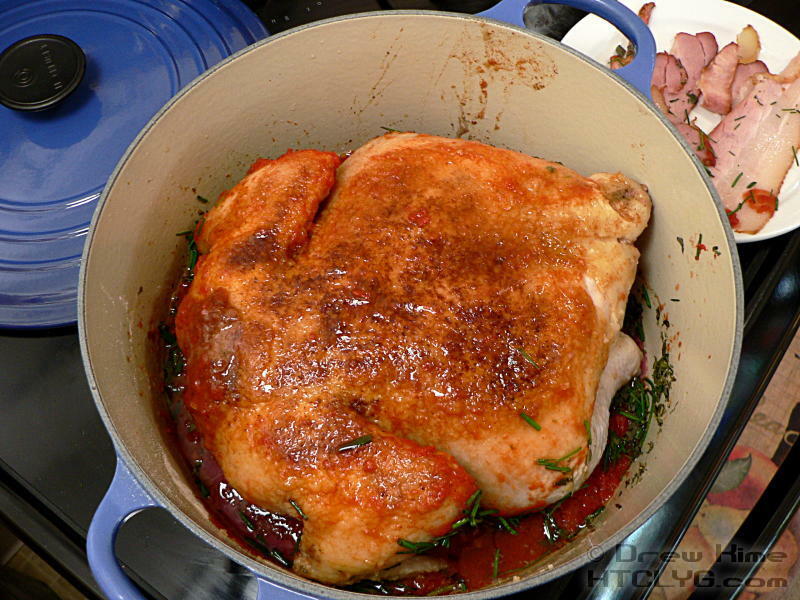 You can just throw it in the slow cooker and wait 6 hours, and it will be fine. But it really helps to brown the roast first. For that, I use big a frying pan. So now I’ve got an extra pan to clean. Bogus. … then add everything else and go straight into the oven. All that browning around the sides is extra flavor you’ll never get in a slow cooker. Then there are the dishes I wouldn’t have even tried without this pot. 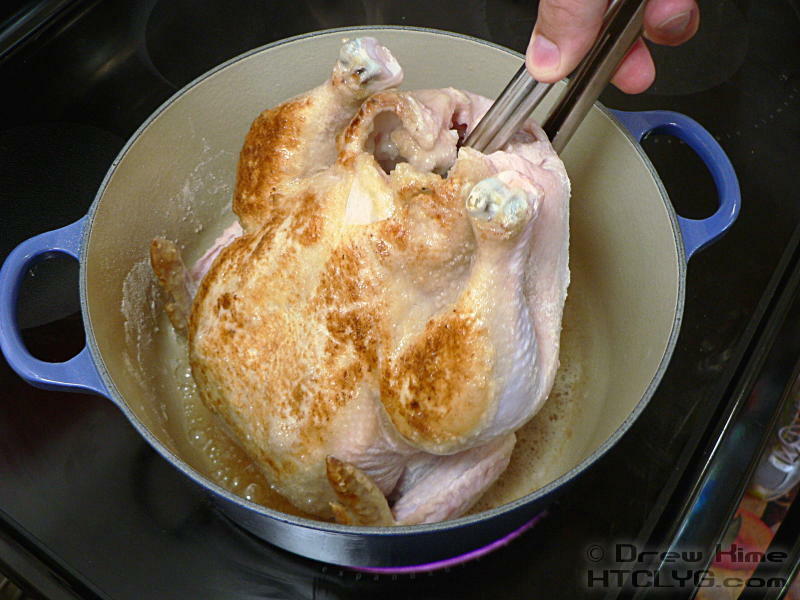 Namely the potted chicken. 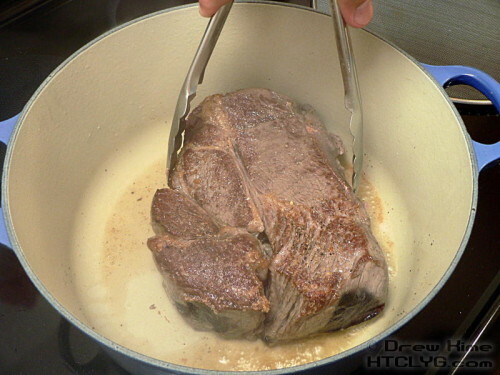 This is another recipe that required browning a big hunk of meat before slow cooking. This time, though, the bird is big and awkward. I nearly dropped it twice while turning it over. This would really make me nervous trying to do it in a shallow frying pan. Where the French oven really makes a difference, though, is how it keeps browning on the bottom while it’s in the oven. When I saw that, I think, is when I fell a little bit in love with this pot. Sure, it’s a little expensive. But with even the slightest bit of care you’ll be able to pass it down to your grandkids. 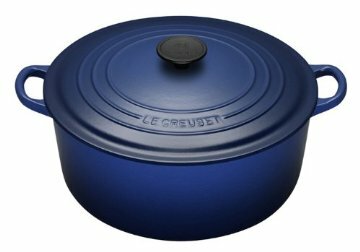 Actually, I’ve heard from people who abuse the daylights out of their Le Creuset and it still gets passed down. It’s not always true that you get what you pay for. But in this case, you do. You can order it in my store.